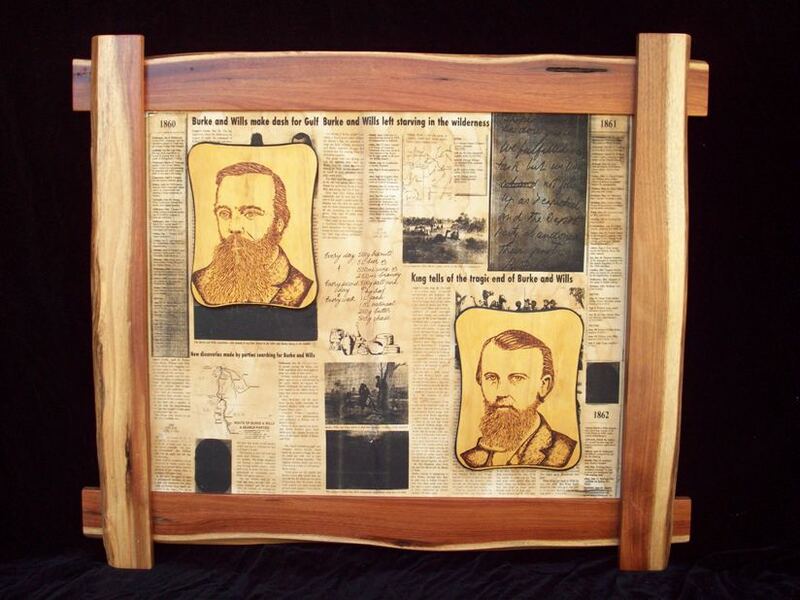 Robert Morgan’s art has been exhibited at local and state levels. 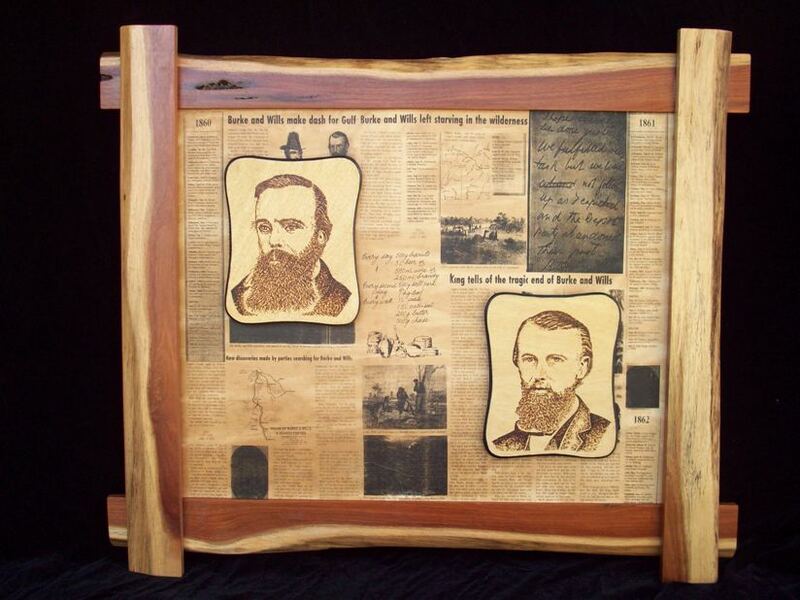 He specialises in native timbers, mirrors, lead light, pryography, signs and logos. His artwork reflects upon Australia’s identity in order to promote the country’s heritage, hence the entire portfolio has come to been known as ‘The Australian Heritage Collection’. 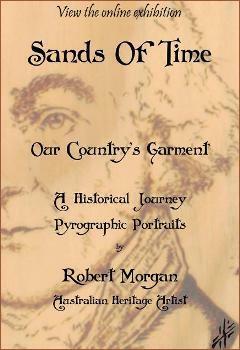 The SANDS OF TIME Collection is Robert Morgan’s signature work. Seven years of labour and research went into creating the collection — a completely original concept. 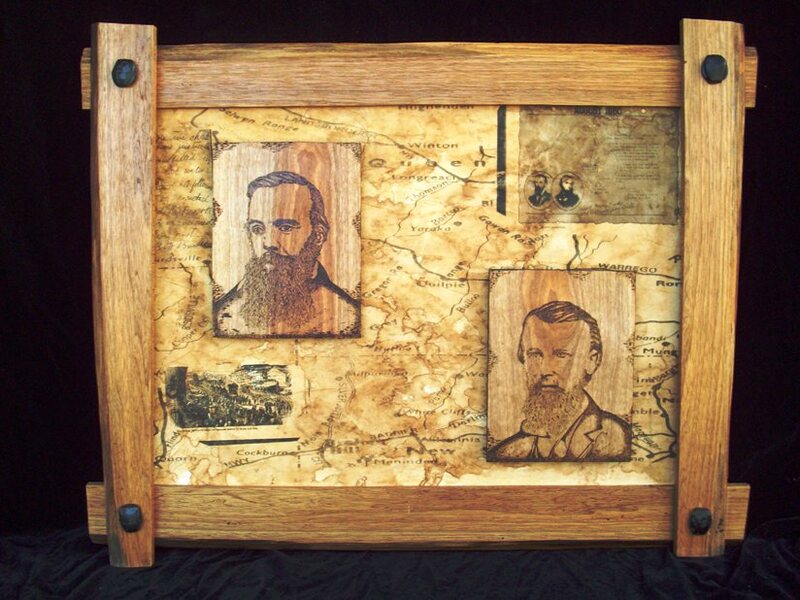 It is an educational and historical journey through Australia’s rich history and a monument of Australia’s identity. Go to the SOT Index. * The rest of the AUSTRALIAN HERITAGE COLLECTION will be added soon. Watch this space!